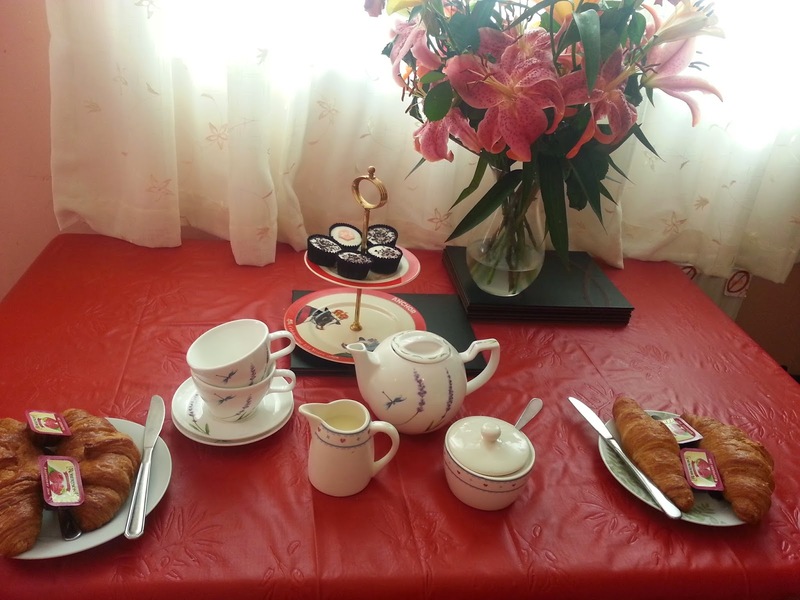 We love tea parties in our house. It might be old fashioned and a little bit daft, but it's actually really fun, and doesn't have to cost much. You can make your own cakes or pastries, which is a fun activity for children, and then have a proper teapot and cups and saucers, a la Downton Abbey. We even have a cake stand. Oh yes. In the summer this becomes an outdoor activity, like a tiny garden party with just a few select guests. 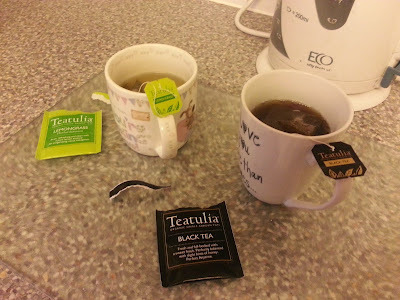 My daughter is a big tea fan and a bit of a connoisseur, so I thought it only right that she contributed to this review of a selection of teas from Teatulia. The unique flavours of organic, herbal tea that were sent to us, arrived in individual packets which all contained the same instructions for infusing the biscuit dunkers. Lemon Grass provided a refreshing, citrus flavour. This tea is ideal for a natural wake-up call in the morning- or a quick boost in the afternoon, particularly if you have a long day ahead of you! Black Tea was my favourite- A classic milk and two sugars. This is the perfect drink to wind down with after your busy day. Sitting in the evening sun, listening to the crickets in the long grass. 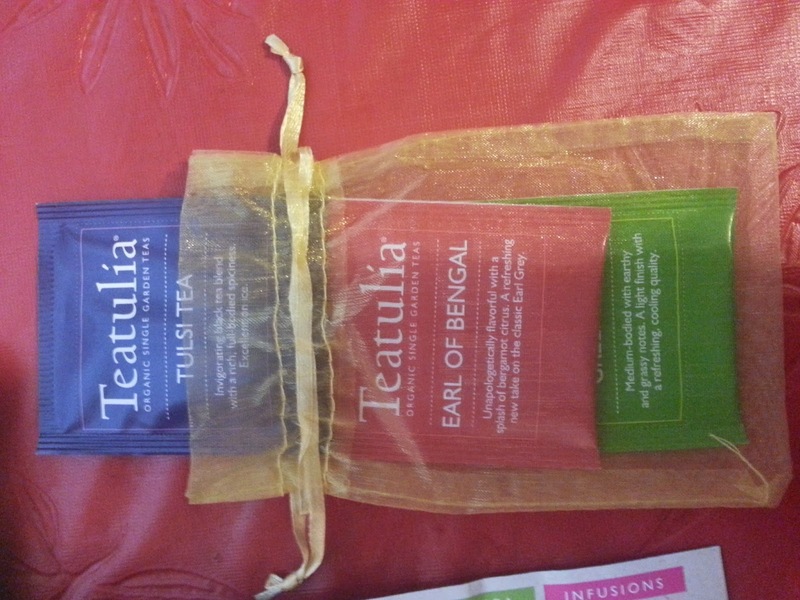 Earl of Bengal, organic Earl Grey tea, was my least favourite. As, there are so many interesting flavours. I felt like this was too normal to fit into the selection. Tulsi, with its subtle hints of spice infusion, would be the tea of tongue twisters. This would be good tea for inviting friends around for a catch up as the surprise hints of spices will add even more excitement to the chat. Green tea provided a natural, refreshing drink to have with a healthy light lunch. I hope you enjoyed our tea review, from a tea lover. 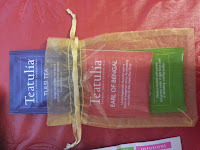 Teatulia tea is all natural and can be found in health food shops, such as Holland and Barrett. Totally, there is always time for tea, and of course cake!